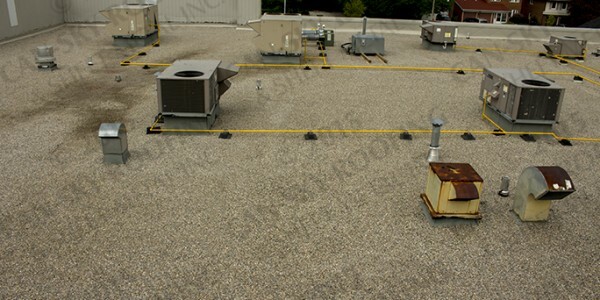 Roof Size: 100,000 sq.ft., 500 ln.ft. 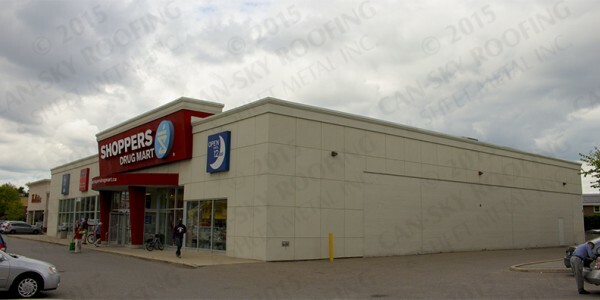 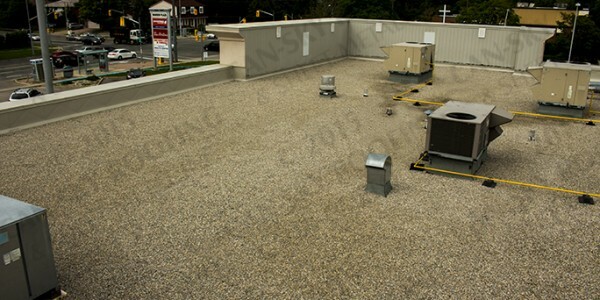 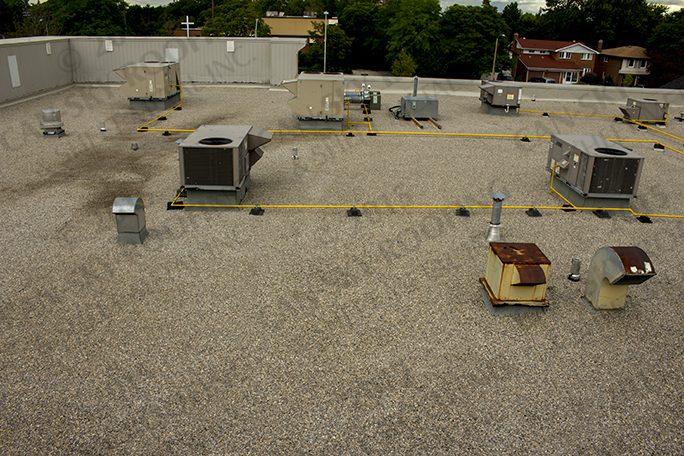 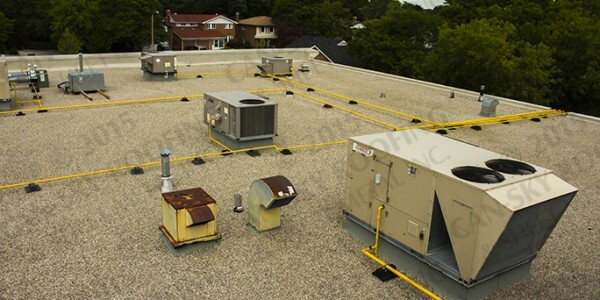 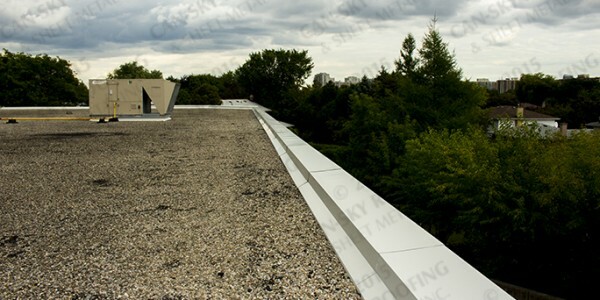 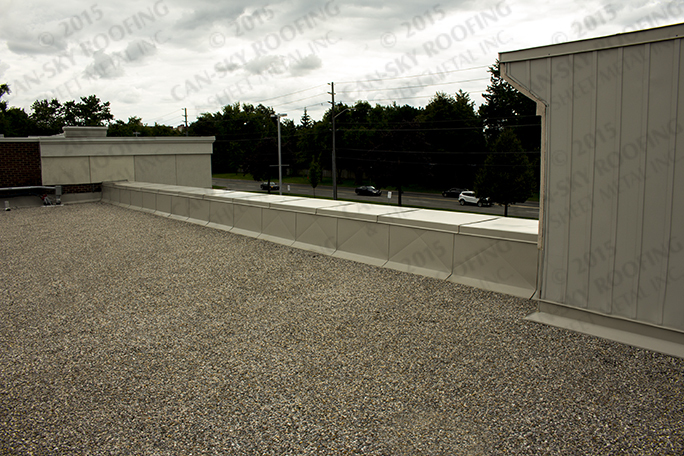 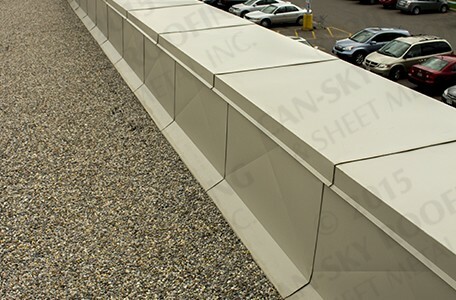 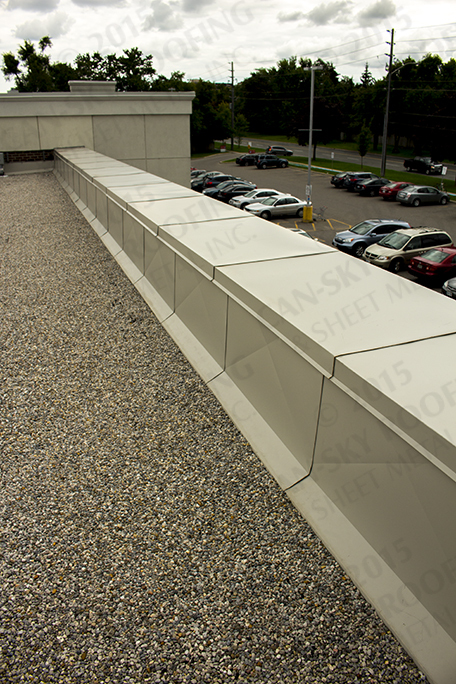 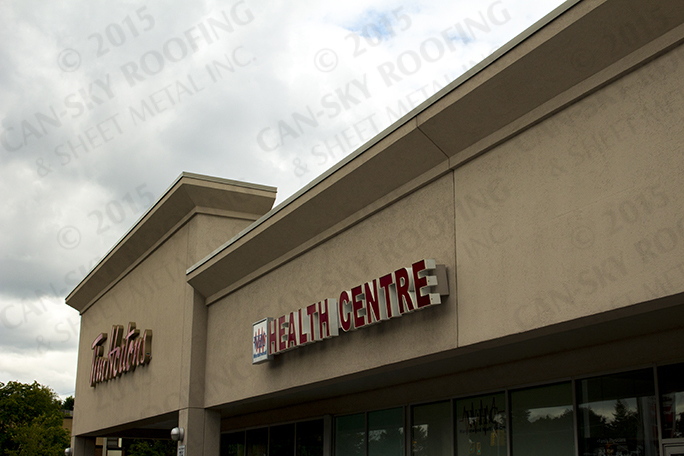 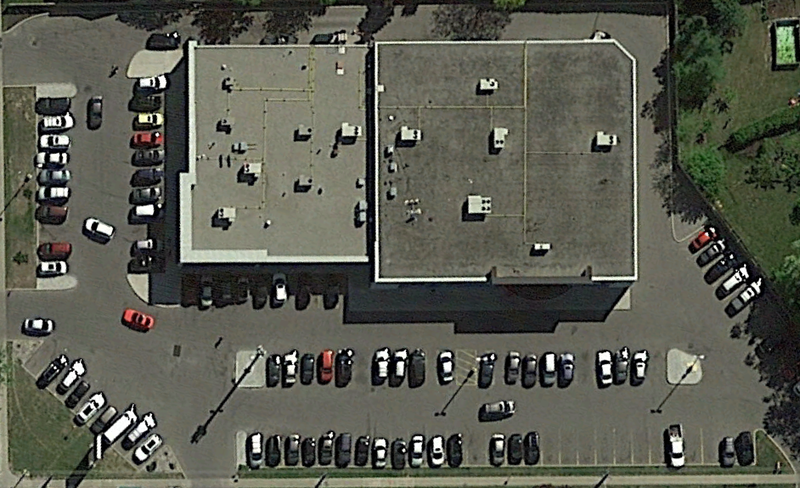 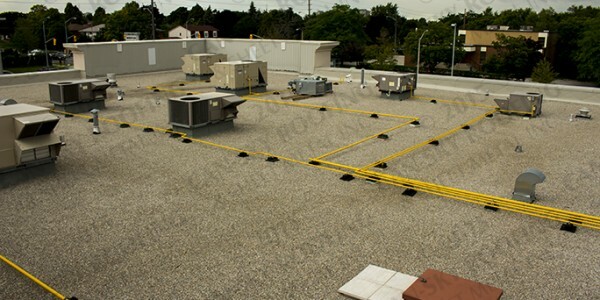 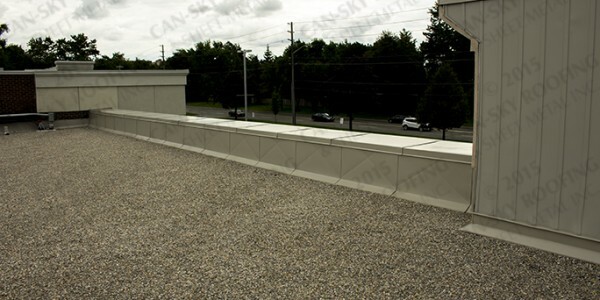 This flat roof replacement involved installing a new 4-ply built-up roof (BUR) system outfitted with premium fiberglass reinforcing felts, modified bitumen membrane flashings, over 5.0″ of insulation, and a custom fully-tapered insulation slope system, and Perspectra series pre-painted sheet metal. 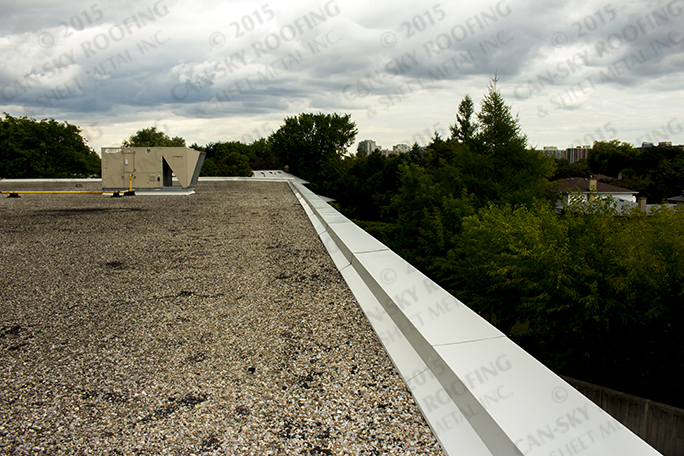 The previous roof was poorly insulated – the amount of insulation in the new roof raised the finished height of the new roof system. 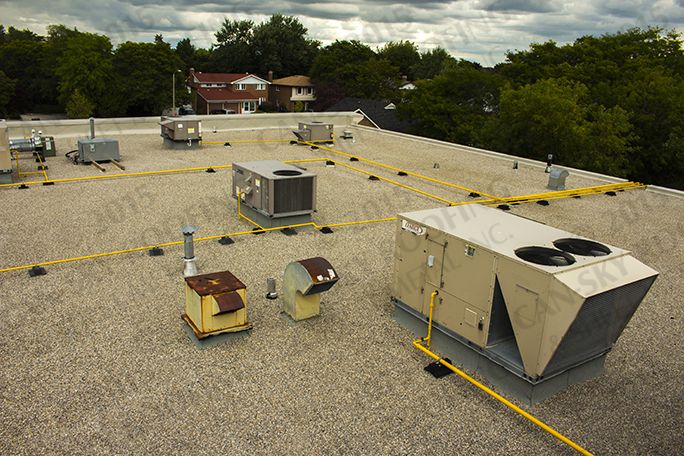 This required substantial mechanical work as each HVAC unit and all existing gas lines needed to be raised as well. 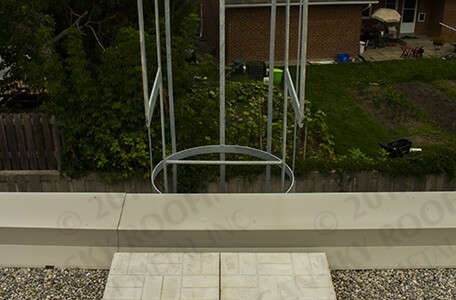 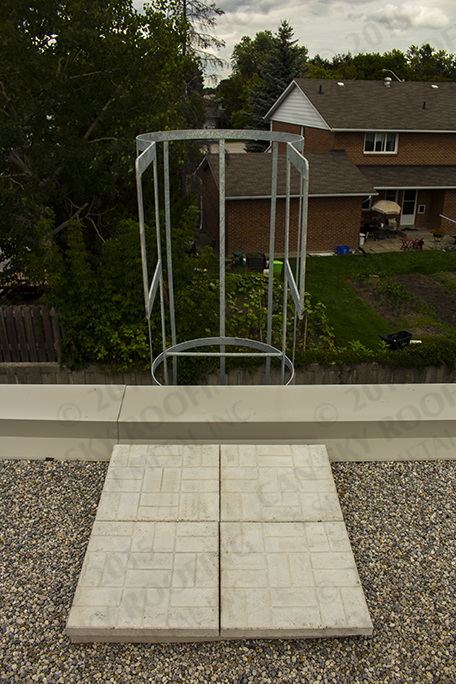 The previous roof hatch was replaced and a new roof fixed access ladder was installed – complete with a guard to prevent unauthorized access. 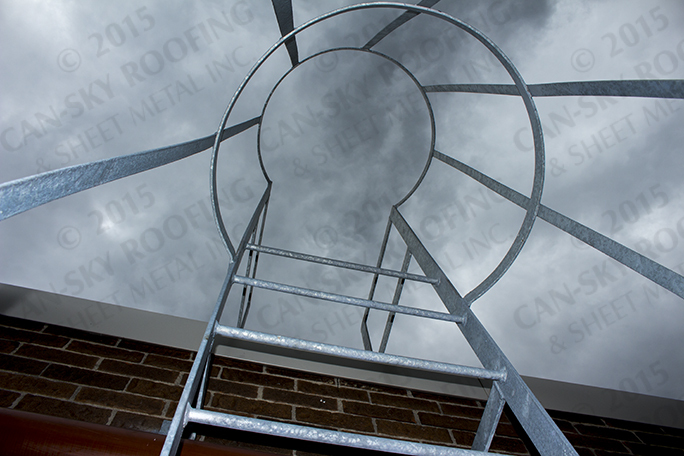 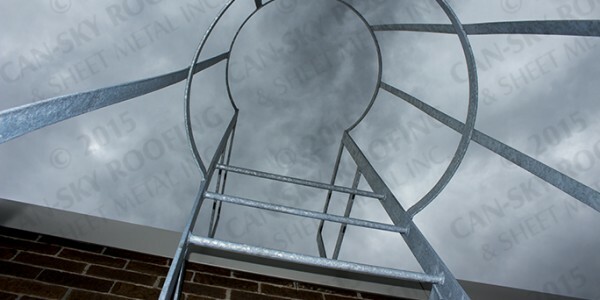 All ladders supplied and installed by Can-Sky conform to regulatory requirements MOL engineering data sheet 2-04. 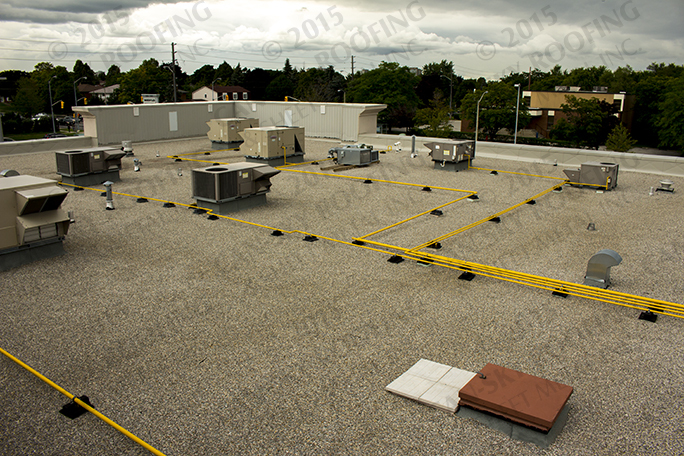 Concrete pavers were installed at each of the fixed access landings. 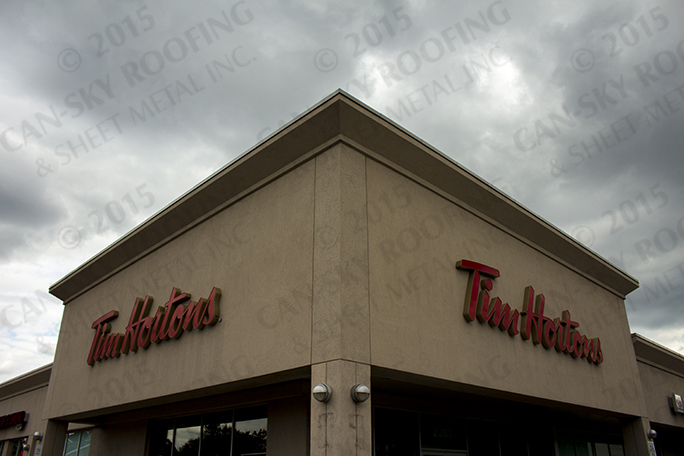 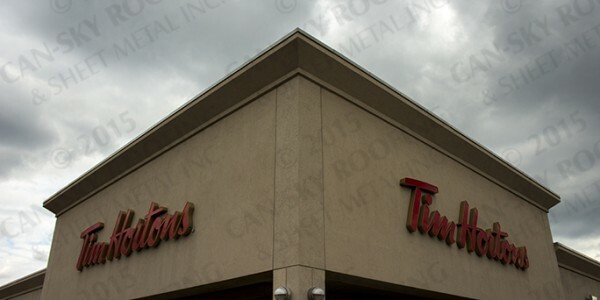 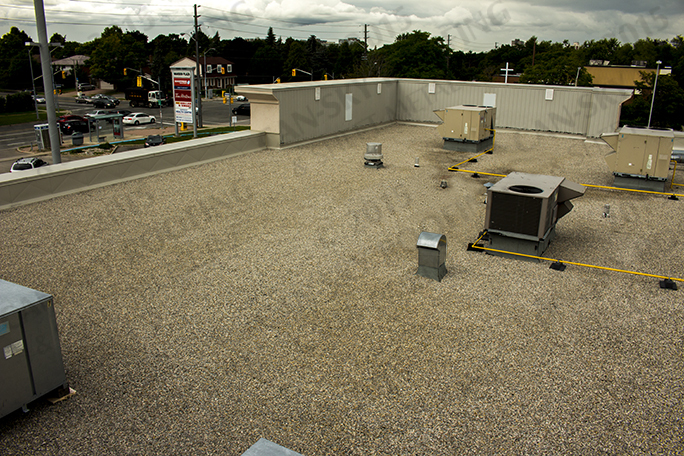 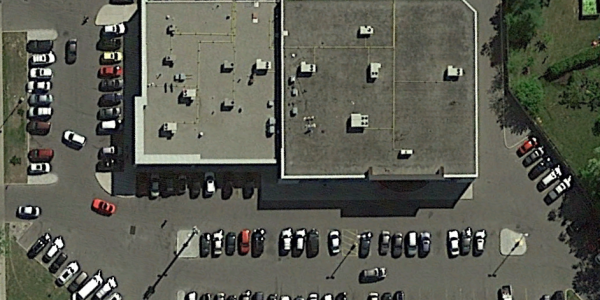 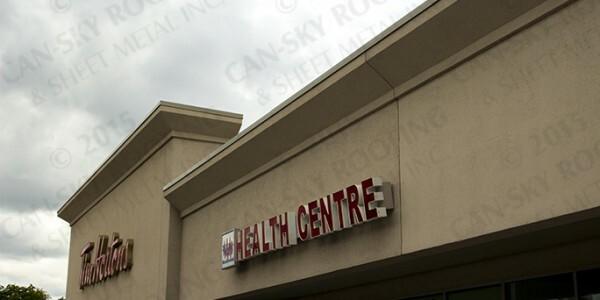 A substantial amount of service work was also completed on the adjacent roof – the entire perimeter was re-flashed with modified bitumen and new sheet metal.